Welcoming April! 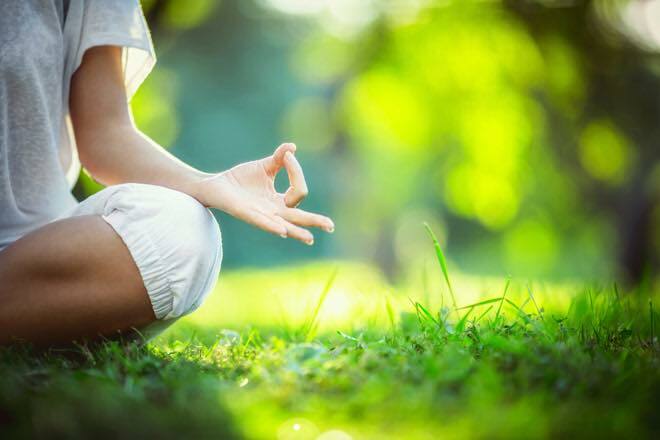 A commitment to your spinal health and wellness is a great way to ensure you’re ready for spring, regardless of predicted snow! Regular chiropractic adjustments, acupuncture, ultrasound and massage, help to ensure you’re enjoying your life and your active days! Come visit us today, mention this ad, and receive a FREE Initial Chiropractic Consultation & Exam (up to a $170 value). To schedule your Chiropractic Evaluation appointment, call 952-746-8150, or drop us a note in the “Contact Us” tab. Offer expires April, 30th, 2019 (xrays not included in offer). Treat your FEET – Custom-Made Orthotic Inserts! Posted by mbsilbs in feet, Specials, Uncategorized on 03 20th, 2015| Comments Off on Treat your FEET – Custom-Made Orthotic Inserts! 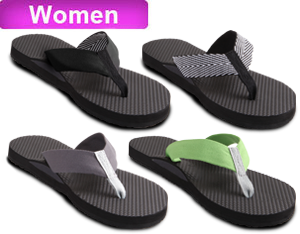 Treat your Feet with Stabilizing Orthotics! “As the foundation is laid, so the walls of the house will rise” — Our feet are the foundation of our bodies and the bones of our feet, when properly positioned, form arches to support our body weight and spinal alignment. 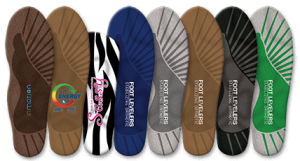 Footlevelers puts those feet in their optimal position for your best balanced foundation and health! Marilyn Moffat and Carole Lewis are physical therapists who have been in private practice for a number of years. They have both published and lectured extensively, and have written “Age-Defying Fitness” based on their experience with their aging patients. Their aim is to inspire and motivate readers to do something good and long-lasting for themselves: exercise. We are pleased to post several extracts from their book. Here is the first. Robert Griffith, Editor. Your backbone is the key to good posture, and strong, solid posture is the backbone of feeling good and staying active. Many people, however, don’t stand straight. Their heads droop, their shoulders round, their backs slump. After work and on weekends, Richard, 51, could often be found reading or watching television on the big sofa in the den. He called it “relaxing.” Working hard all day made him tired; he thought taking a well-deserved rest would make him feel better. But actually poor posture was wearing Richard out and contributing to his lack of energy. If anything, he was more tired on Monday morning than he had been on Friday night. Over time, poor posture causes muscle weakness or tightness. Slumping while watching TV or using a computer may throw your spine out of alignment. Carrying heavy bags or uneven loads worsens the problem. Our parents and grandparents were onto something when they told us to sit up straight and stand erect. Perfecting your posture requires a lot of attention initially, but with practice it becomes second nature. 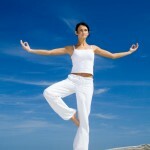 Good habits build good posture, and good posture gives you more energy and fewer aches and pains. Posture is the position of your body while standing, sitting, and performing daily tasks. When your body is properly aligned, it is well-balanced, with minimum stress and strain on supporting structures such as bones, ligaments, and muscles. Good posture also provides appropriate positioning for your inner organs. Keeping your body straight gives your lungs the space they need for full expansion, and keeping your abdominal muscles tight provides support for intestinal and pelvic organs. Posture affects breathing and arm and neck movements. It even affects how your jaw works and the way you chew. To see just how important posture is to well-being, try these 3 sim¬ple movements. 1. Take 3 deep breaths. 2. Turn your head side-to-side. 3. Raise both arms over your head. 4. Tap your teeth together. · Notice the difference. Do you feel how much easier it is to breathe deeply and move your head, arms, and jaw when you are well aligned? Symmetry is an important aspect of good posture. Your body should be aligned equally side-to-side and back-to-front. When your body is in balance, it requires less work to stay erect. If your body is asymmetrical, some areas have to work more than others in order for you to maintain an upright position. Habitual, prolonged, unequal alignment results in more wear and tear on your body as you age. Posture does change over time, but many limitations that people associate with aging are actually due to inactivity. You may see older people with an almost goose-necked stance, head forward and shoulders severely rounded. But many younger people, especially those who spend a lot of time at their desks peering at computer monitors, exhibit these same postures earlier in life. When Denise first visited her 80-year-old grandmother in the new nursing home, it didn’t surprise her to see a group of severely hunched¬-over elders in the television lounge. But when she came home that afternoon, Denise was shocked to realize that her teenage children and their friends slouched just the same way while they watched television. Certainly age-related changes and conditions do occur. For example, as you get older the discs in your back lose some of their water content, becoming less spongy, more rigid, and narrower, exaggerating bad posture and stiffness. Hips and knees tend to become slightly more bent as you age, leading to walking pattern alterations. The possibility of developing conditions such as osteoporosis and spinal stenosis also increases with age. You can’t turn back the hands of time. But with proper exercise and training, you can maintain and improve your body’s performance despite advancing age. This section in the book goes on to passages on posture assessment (including self-assessment), working out a prescription for correcting posture, and descriptions of 8 great posture exercises, all with diagrams and photos. Future extracts from “Age-Defying Fitness” will cover strength, flexibility, balance, and endurance. You can buy “Age-Defying Fitness” from Amazon or from Peachtree Publishers http://www.peachtree-online.com/product/2735.aspx. TRY OUR POSTURE ROPE today and see what your perfect posture looks like. Posture Ropes available for sale at just $10.00. To Enhance your Energy, Edge and Performance…Click the Link Above! OPEN HOUSE! Visit Us ~ Wednesday, October 28th! Posted by mbsilbs in Acupuncture, Chiropractic, Diet and Nutrition, Live Well Newsletter Articles, Spa and Beauty, Specials, TEAM Live Well on 07 29th, 2009| Comments Off on OPEN HOUSE! Visit Us ~ Wednesday, October 28th! Car Accident or Injury? Whiplash Prevention and Treatment! How your Spinal Nerves affect your Health (the BEST visual)! Facebook – Become our friend! !